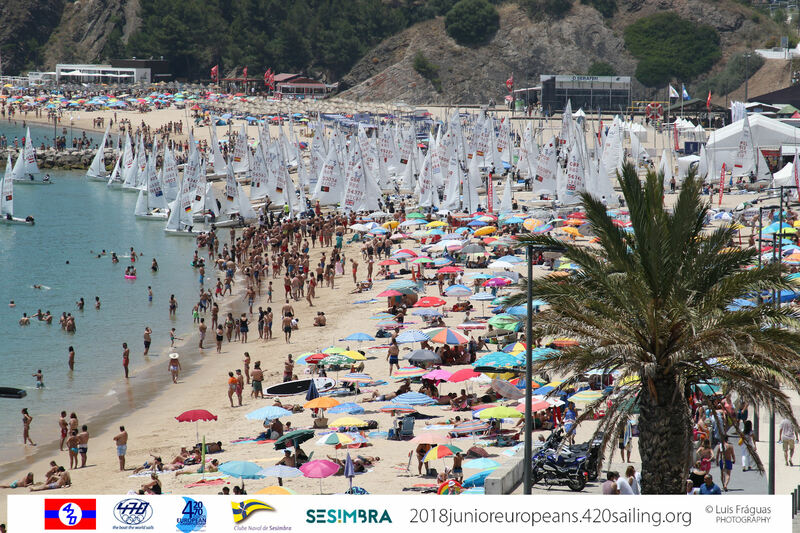 Race day 4 dawned with dense fog on Sesimbra beach and visibility at 100 metres - not an unusual occurrence here. Local weather gurus assured it would lift, and after a 2 hour postponement the fog gave way to sun and breeze. Racing continues on Tuesday 10 July, with a scheduled start time of 1400 hours and two races for all fleets. 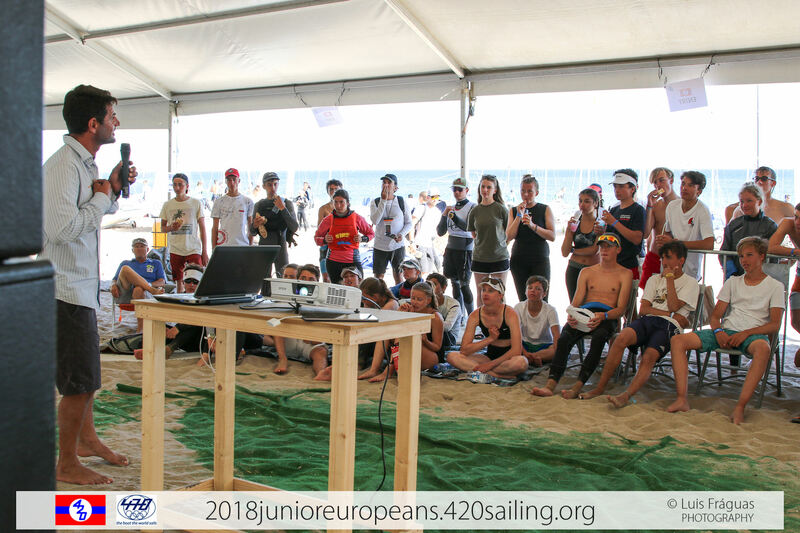 In the 470 Men and Women, Tuesday’s two races will decide the top ten teams advancing to Wednesday’s medal race, with the rest of the fleet contesting a final race 12. First day of the six race gold fleet finals, with the Championships’ top 49 teams now facing each other. 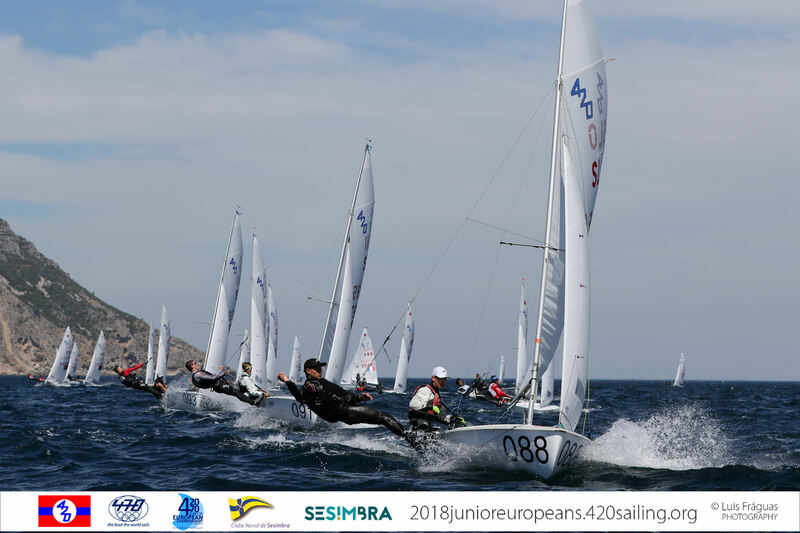 The experienced partnership of Enzo Balanger/Gaultier Tallieu Gueydan (FRA) move up to take the lead, with Spain’s Martín Wizner Pérez-Lafuente/Pedro Ameneiro Amezaga just 4 points behind. 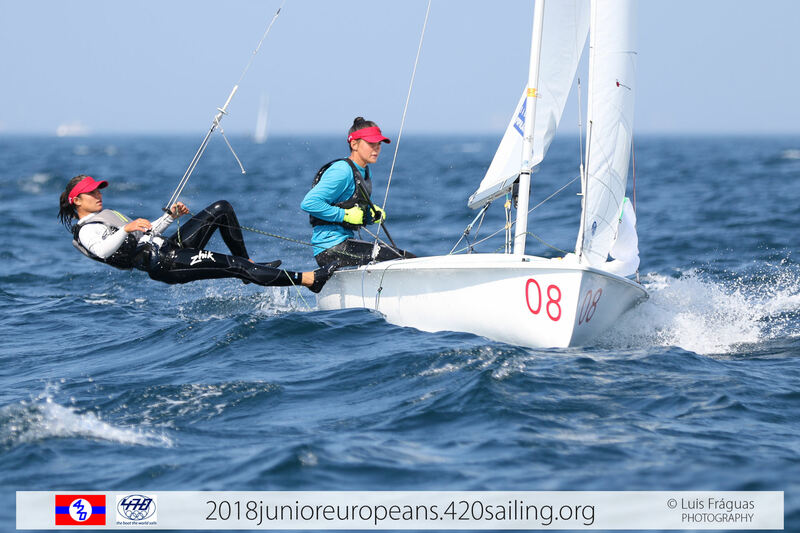 These two hold a safety net of 17 points over the next team, Niamh Harper/Ross Thompson (GBR) in third. 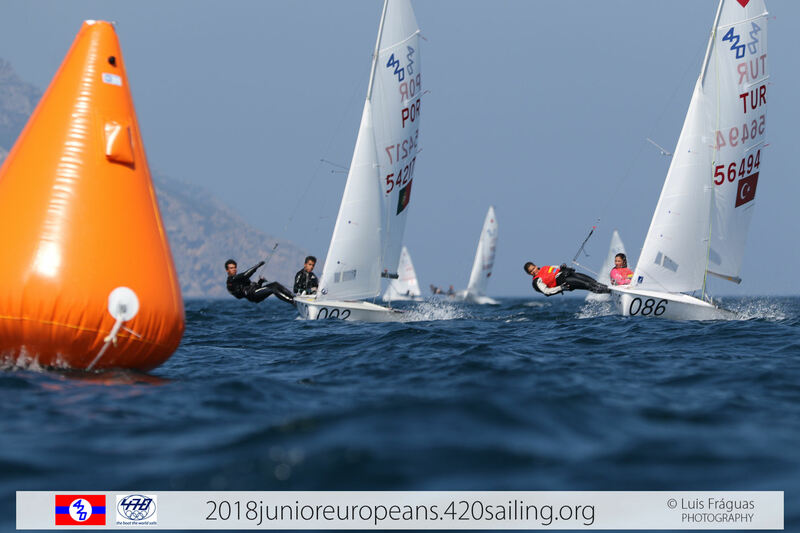 Day by day France’s Hugo Le Clech/Zachary Le Bris have been improving their pace, outshining the gold fleet today with scores of 1,2 to move up to 8th overall. 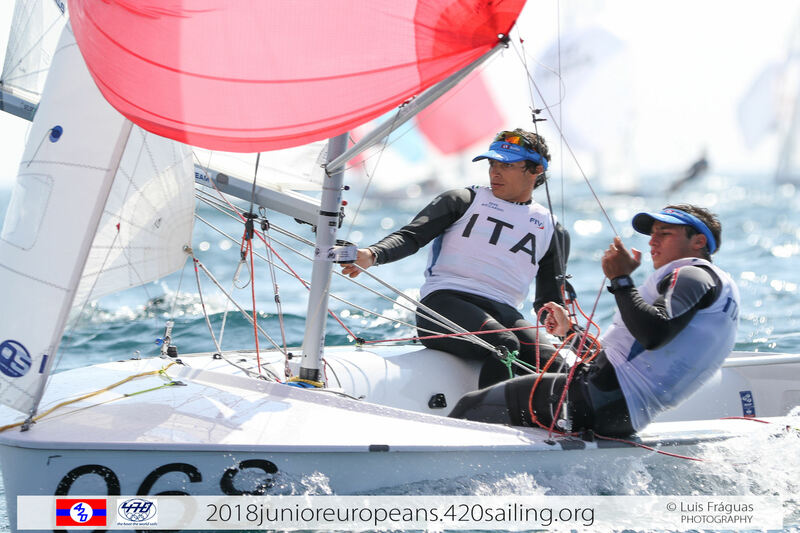 Switzerland’s Florian Geissbuehler/Livio Erni sit atop the 49 boat silver fleet from scores of 2,1. 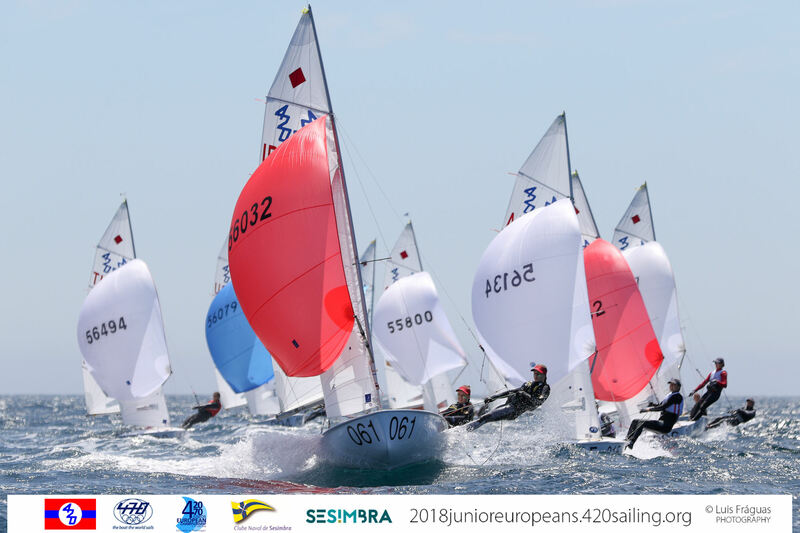 Australia and the USA now control the 420 U17 top three, headlined by Cole Tapper/Tyler Creevy (AUS), who reclaim the top spot they had on day 2. Team mates Ryan Littlechild/Jack Ferguson (AUS) move up to 2nd, with the USA’s Oliver Hurwitz/Ethan Froelich gaining five places to end the day in third overall from a scorecard of 7,2. 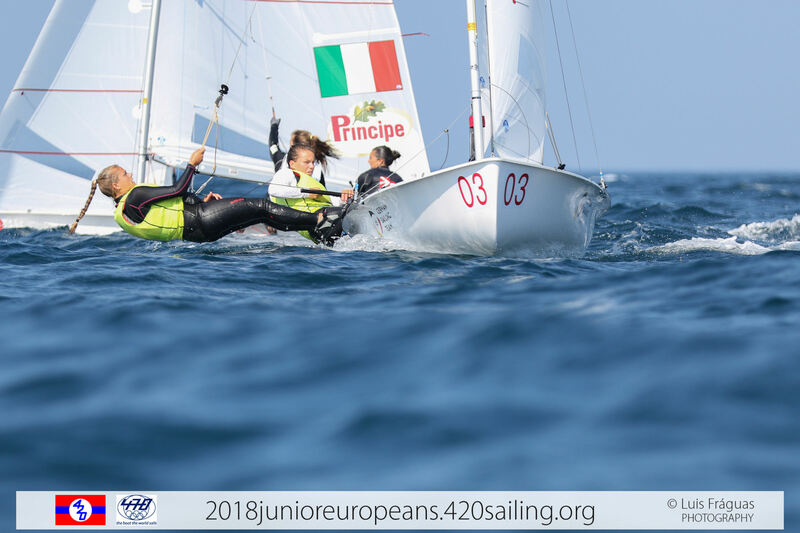 Making their debut at a 420 Championship, Hurwitz/Froelich’s leaderboard promotion was aided by a stylish port tack of the fleet off the race 8 start line, as Hurwitz explained. “Off the start, we were about 5th and crossed the fleet immediately and kept going to the right. We saw a lot more pressure there and it had been paying earlier in the day, and as soon as we got there we got a huge header, tacked on that and then were already crossing everybody on the left side because we were pretty much furthest left. And from that point on we were in 2nd. 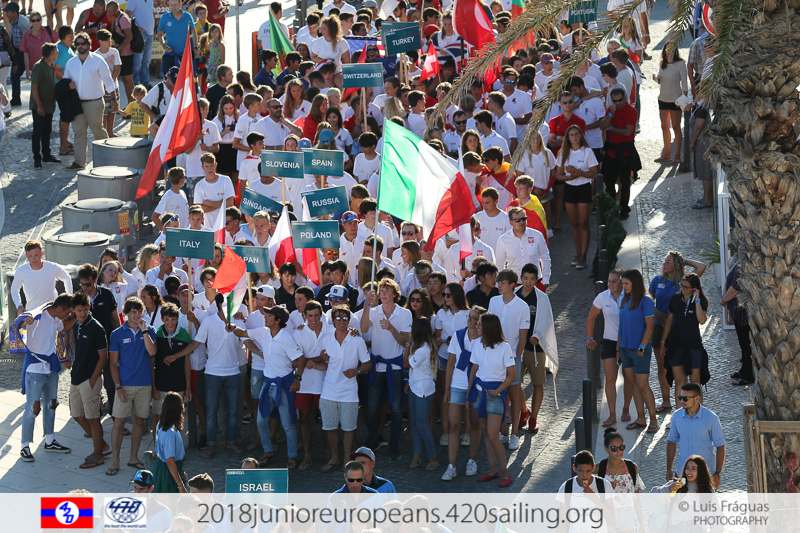 The day’s best performance award goes to Germany’s Florian Krauss/Jakob Lanzinger who scored 3 and then won race 8 with a massive margin, to leap up to 12th overall. 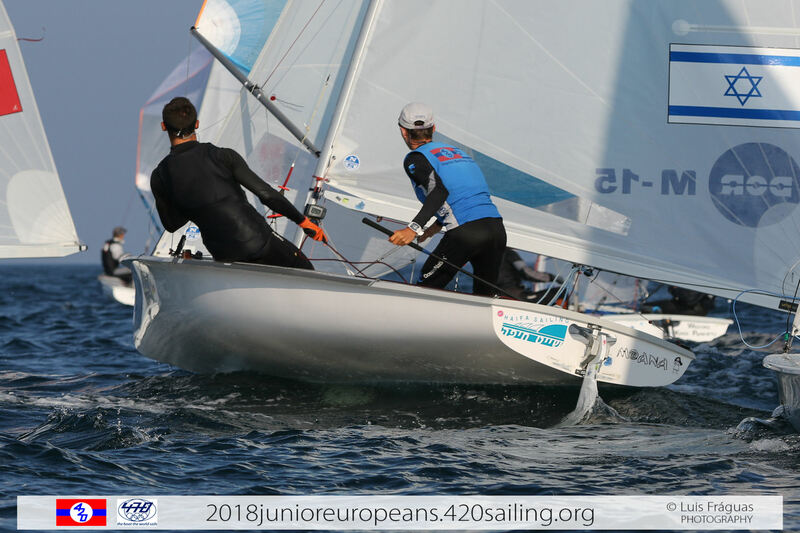 Resilience is key in sailing, and misfortune again hit overnight leaders Jakub Gołębiowski/Filip Szmit from Poland just as they were leading race 8. “In the second race we were first after the upwind, but we ripped our spinnaker,” explained Szmit. “We don’t know how it happened and we couldn’t do anything." 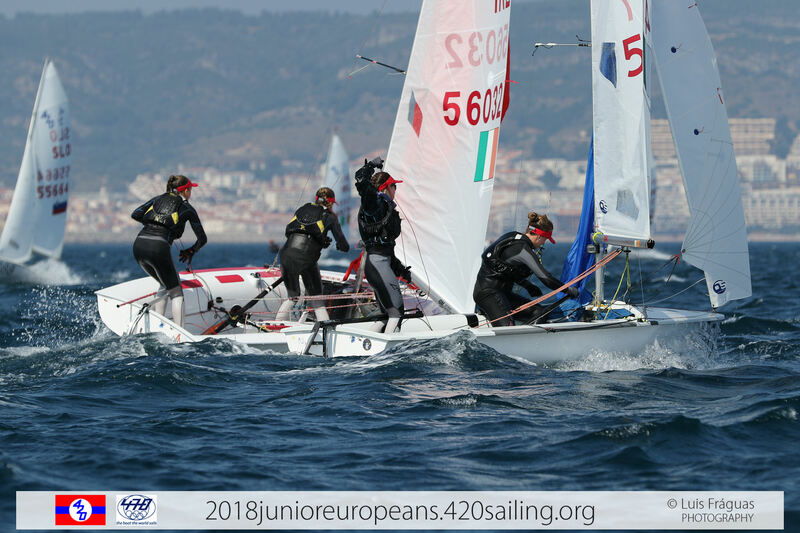 In the women’s line-up, Greece’s Melina Pappa/Maria Tsamopoulou hold firm as top placed women in 6th overall, with Poland’s Zofia Korsak/Karolina Cendrowska in 19th, and Spain’s Marina Garau Bosch/Blanca Cabot Sancho in 24th. 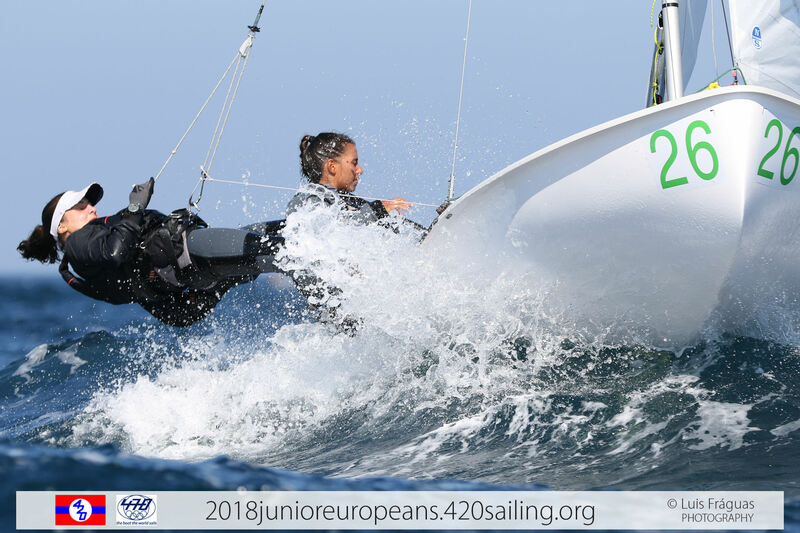 Performance of the Championship so far to Marina Lefort/Lara Granier (FRA), with back to back wins propelling them up to 5th overall in the women’s leader board. 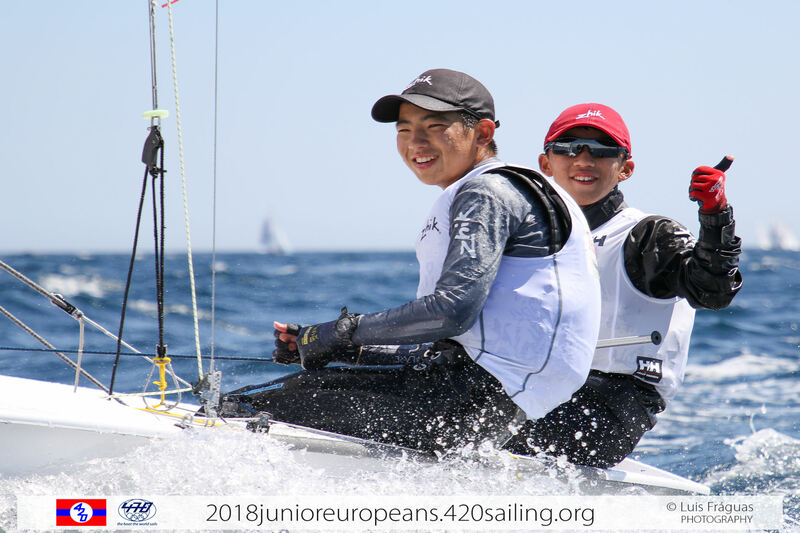 The pair sealed last year’s Junior European silver medal and, if these, their preferred light wind conditions persist, there is every opportunity still to match or improve on that colour. But, they will need to maintain today’s form. “We are so happy and feeling more confident about our choices and decision making in tactics and strategy,” Lefot concluded. 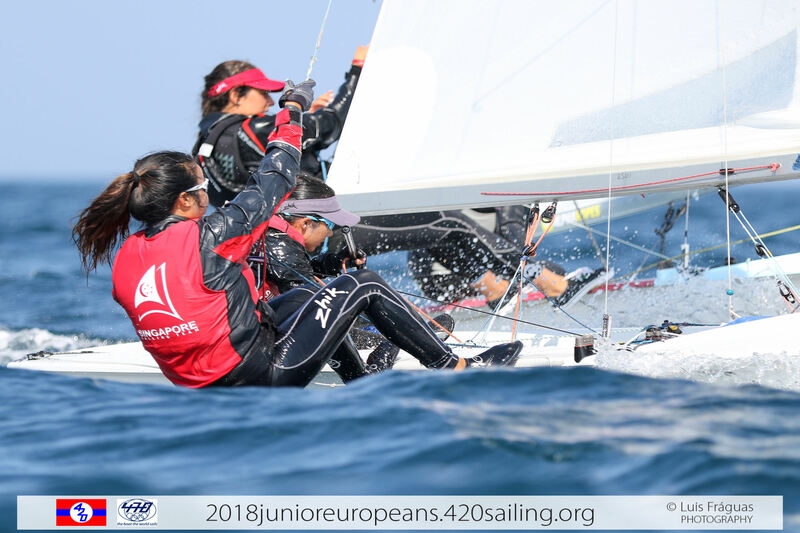 Singapore’s Elisa Yukie Yokoyama/Cheryl Teo ended their day on a high, with a 2nd place in race 9. The ‘other boat’ was Lefort/Granier who won the race, followed by Singapore. “If feels good to know that we made the right tactical move. It also happened to us yesterday, we did the same thing with the same result,” said Teo in reference to their 3rd place finish in race 7. Next up for this pair is the Asian Games, 20-31 August in Jakarta, Indonesia, where they will face the continent’s best 470 teams.